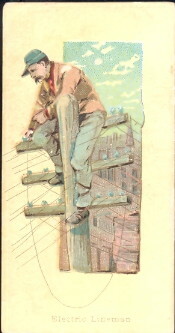 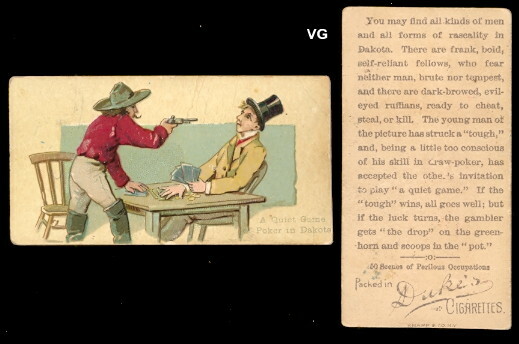 W. Duke, Son & Co. 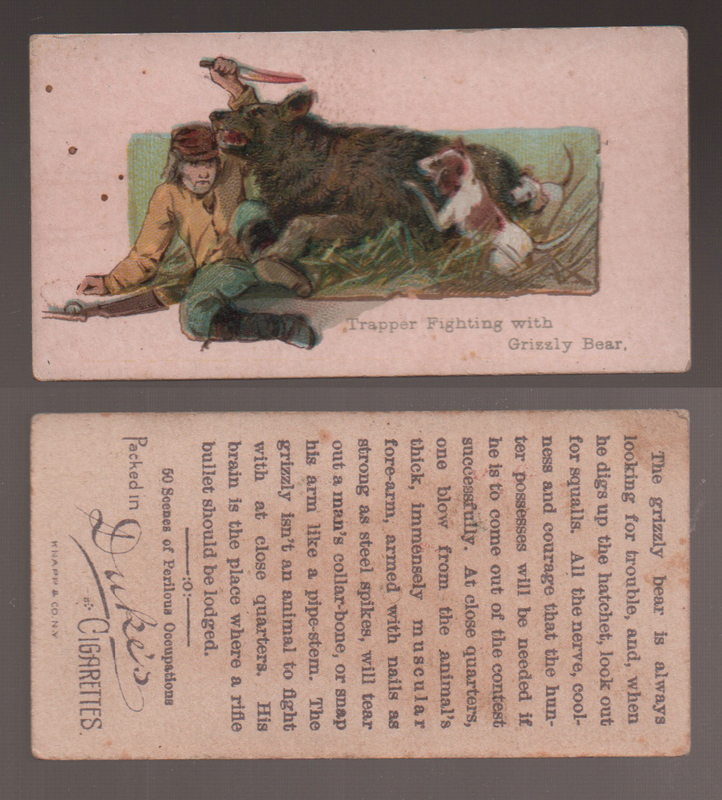 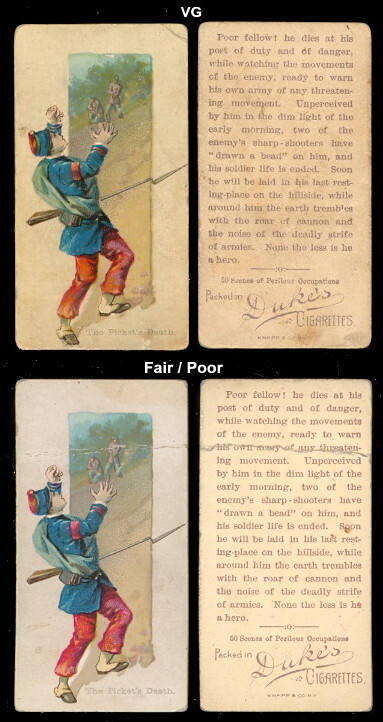 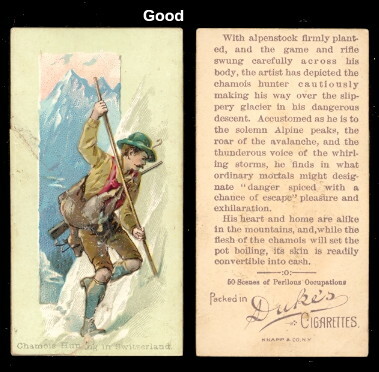 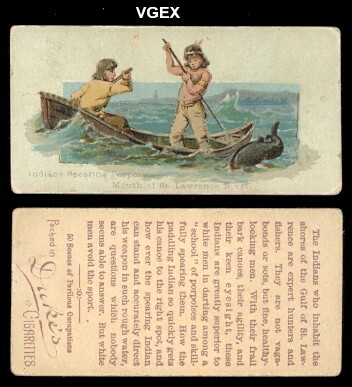 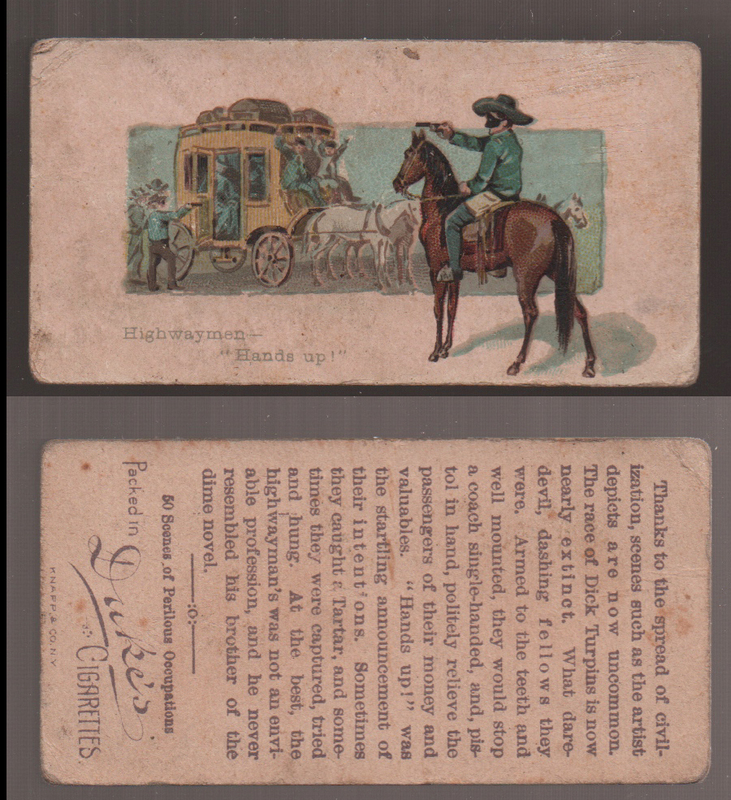 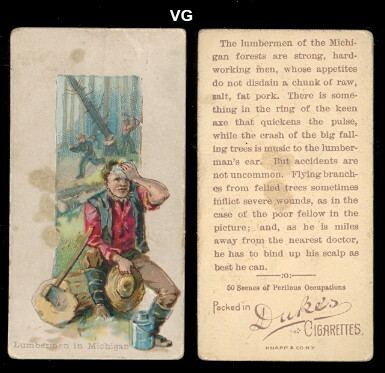 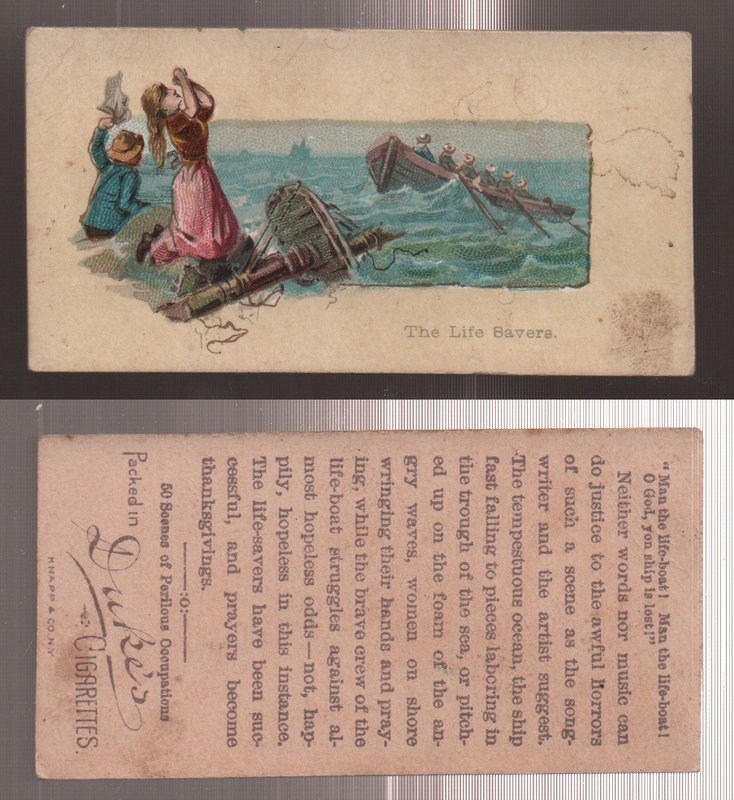 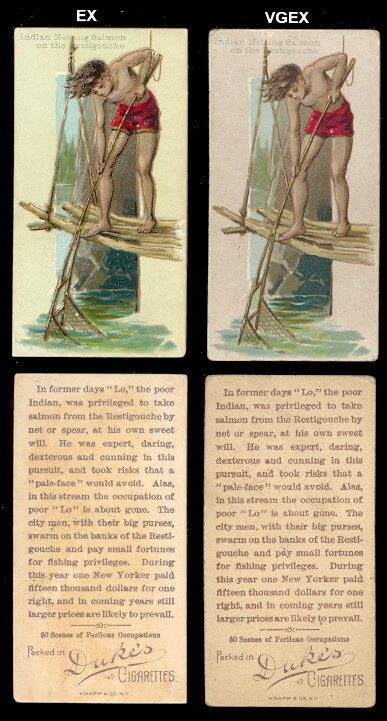 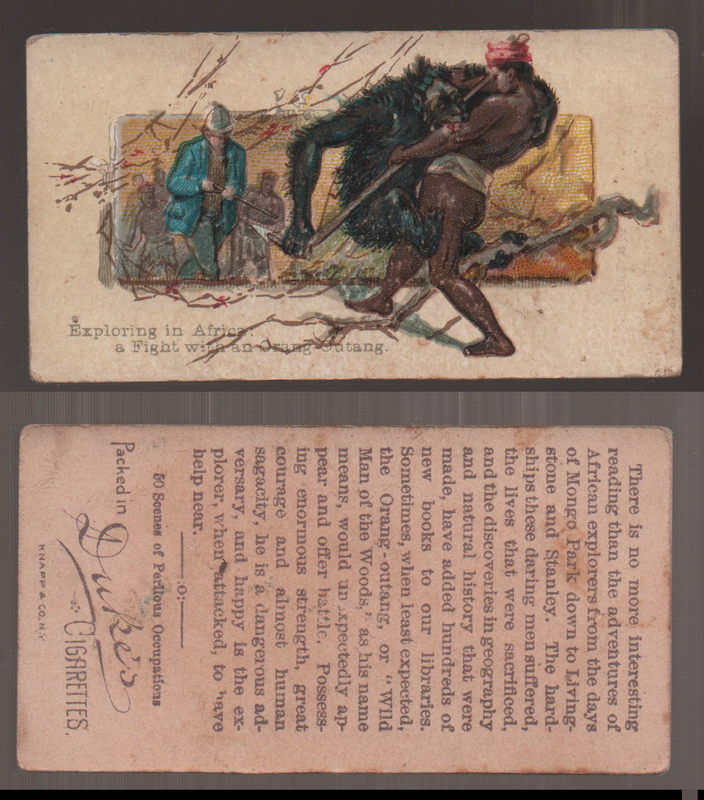 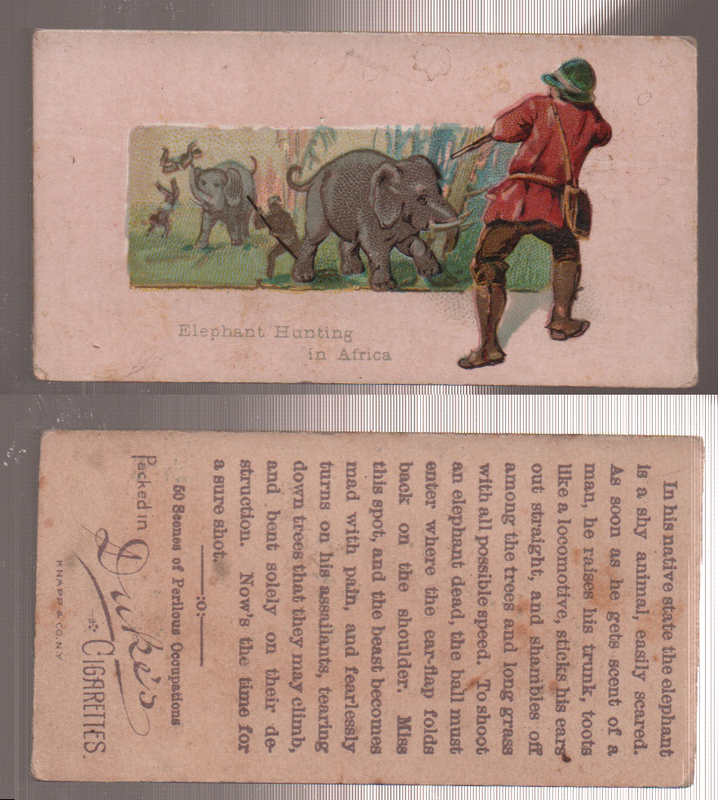 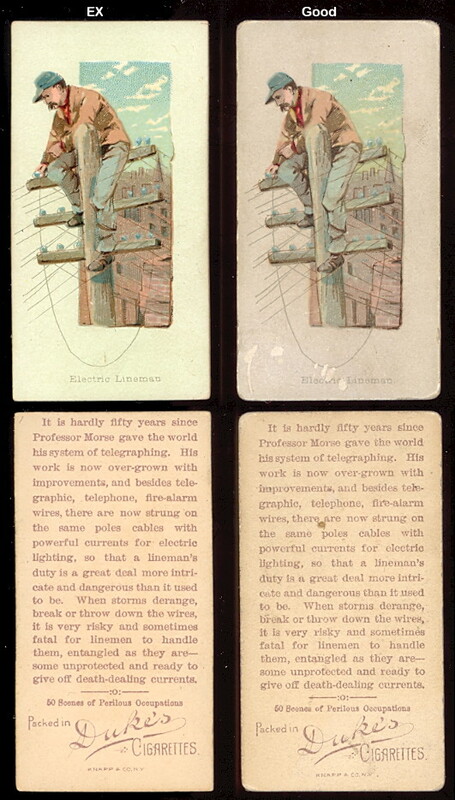 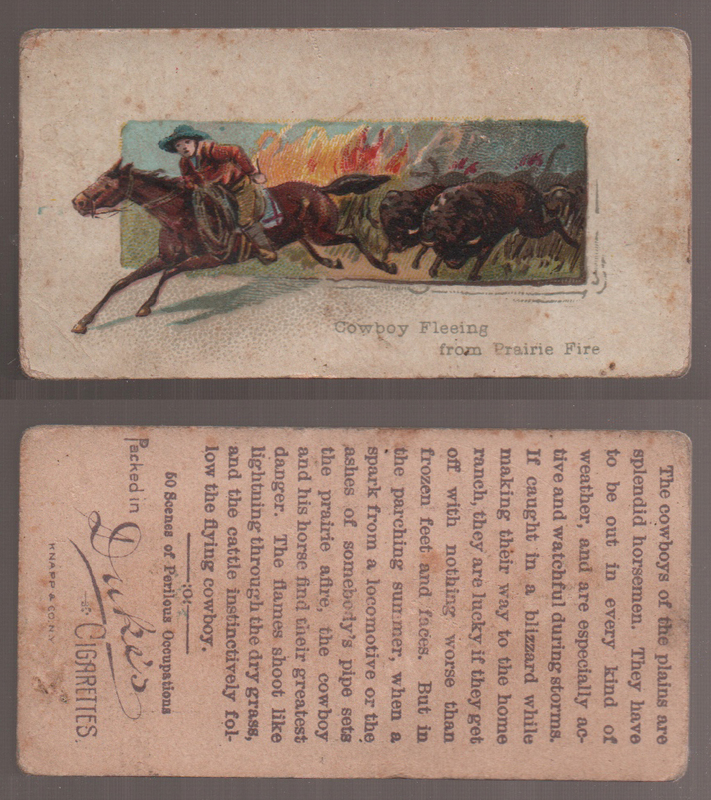 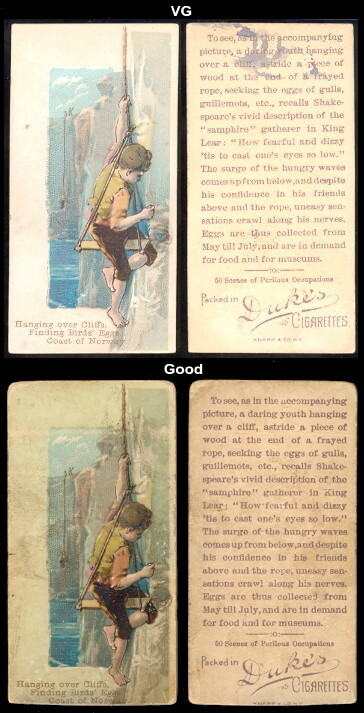 Issued this popular set around 1888, The cards measure 1-7/16" X 2-3/4" and there are 50 in the series. 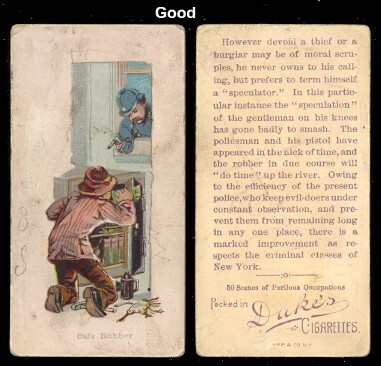 They depict occupations, some of which are a bit of a stretch, that are dangerous. 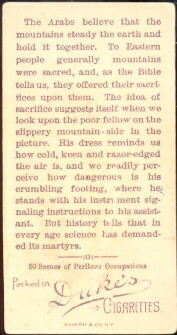 The backs have a brief story about the occupation and an ad for Duke. 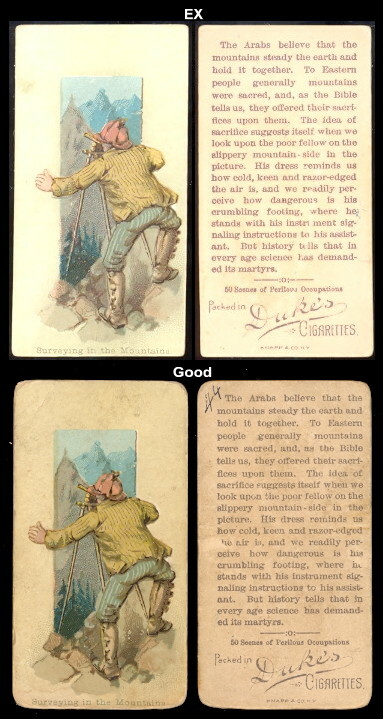 They are fun attractive cards.